England’s NHS makes tech announcements: commits to giving patients real-time access to their entire electronic medical record by 2018, ambulance services will also be connected electronically to hospital EDs. NHS is also looking into the possibility of making all of its facilities free Wi-Fi zones and rolling out wearables to patients for in-hospital monitoring. Other proposed projects include endorsement of third-party health apps, providing technology training to citizens, and adding learning disability and dementia status flags to the Summary Care Record. 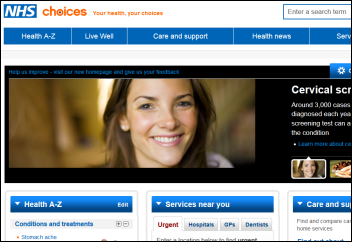 Patient digital services will be delivered via the NHS Choices website. The announcements were made at the National Information Board meeting, taking place at Kings Fund Digital Health Congress 2015 in London (if you are attending, HIStalk sponsors TeleTracking and Orion Health are exhibiting). It’s that time of year when schools are out and health IT news is slow, so we can all enjoy a slight break until September. Assess the three DoD EHR bidders – Epic, Cerner, and Allscripts – on just how open and interoperable their systems are since DoD claims it wants an EHR with those characteristics for our $11 billion taxpayer investment. Ask the top EHR vendors, hospital and ambulatory, to provide a live customer example of being able to perform each of the five items in a real-world environment (extract information in an understandable form, send information to another EHR, accept real-time information requests and return structured information, move all of a customer’s patient records to a new EHR along with metadata and a data dictionary, and open up access to its systems using programmatic, secure APIs). Athenahealth complains and/or brags the most about openness among EHR vendors. Let’s see the company throw down against its competitors using these measurable criteria. That should raise visibility and give Jonathan Bush something fun to talk about. Ask the top EHR vendors to state in writing that they don’t limit openness and interoperability via contract terms that require developer certification, non-disclosure terms, license fees for outside access, custom programing, or documentation fees. As proof, let’s see their most recent signed customer contract. Challenge vendors to publish where they stand on each item or their plans to achieve all five. Turn the list into a layperson-friendly version that could be used by Congress and other interested political bodies, perhaps inviting the authors to testify at the HELP subcommittee hearings. Add the criteria to EHR certification. Further expose the criteria and how prospective EHR customers can evaluate vendor performance against them via ONC’s publicity and informational offerings, including ONC-produced contract boilerplate that prospect customers can insist vendors include. The industry tends to get too deep into semantics when it comes to the technologies that can support openness and interoperability. These criteria leave the technology out of the picture and instead focus on outcomes – systems can either do these things or they can’t no matter what the marketing people say. I mentioned the other day that Twitter is expanding the character limit on direct messages from 140 to 10,000, which several readers (including Dr. Jayne) misread that to mean that all Twitter messages can now be that length. Direct Messages are the ones where you tweet someone privately using the Direct Message option, which is possible only if they follow you (although I remember joking years ago that if Twitter ran into revenue problems, which seemed inevitable, they could offer a premium membership that expands the tweet box to more characters, knowing that the verbose among us wouldn’t be able to resist). Expanded Direct Messages give Twitter at least a theoretical messaging tool to compete with similar offerings by Facebook and LinkedIn, although the limitation of all three is that unlike email, you can’t message anyone who hasn’t already connected with you, which is often the reason you want to contact them in the first place. This week on HIStalk Practice: ThoughtWorks partners with Save the Children to develop EHR for infectious-disease outbreaks. ONC releases massive data set on every meaningful user. Quest Diagnostics Care360 EHR ranks high with small physician practices. MyIdealDoctor announces new funding. PAA survey reveals physician frustration with EHR charting and loss of productivity. Young female PCPs show the ACA some love. Federation of State Medical Boards CEO Humayun Chaudhry, DO discusses next steps for the Interstate Medical Licensure Compact. This week on HIStalk Connect: the FDA partners with online support group vendor PatientsLikeMe to use its database of patient-reported adverse drug events to improve the FDA’s post-market surveillance programs. Telehealth vendor Doctor On Demand raises a $50 million Series B, while Aledade, Farzad Mostashari’s new startup, raises a $30 million Series B. Apple patents a new approach to calculating resting heart rate that should solve many of the problems users are experiencing with the Apple Watch. June 30 (Tuesday) 11:00 ET. “Value Based Reimbursement – Leveraging Data to Build a Successful Risk-based Strategy.” Sponsored by McKesson. Presenters: Michael Udwin, MD, executive director of physician engagement, McKesson; Jeb Dunkelberger, executive director of corporate partnerships, McKesson. Healthcare organizations are using empowered physician leadership and credible performance analysis to identify populations, stratify risk, drive physician engagement, and expose opportunities for optimized care. Attendees will learn best practices in laying a foundation for developing a successful risk-based strategy. 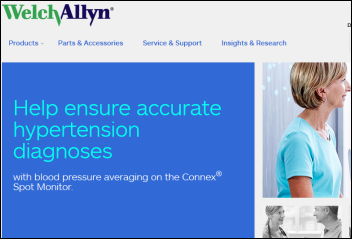 Hospital bed maker Hill-Rom will acquire point-of-care device manufacturer Welch Allyn for $2 billion. Both companies offer technology products, with Hill-Rom selling tools for asset tracking, hand hygiene, staff locating, nurse call, fetal monitoring, and patient safety. 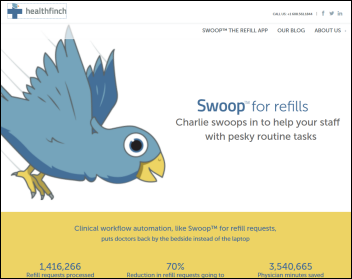 Xconomy profiles Madison, WI-based prescription refill management platform vendor Healthfinch, which has raised $3 million in funding since 2011 and has grown from four employees to 21 in the past 18 months. Allscripts, which in November 2014 was ordered to pay $9.7 million to Etransmedia for deceptive trade practices after a failed business relationship, petitions North Carolina to deny Etransmedia’s request for further litigation that Allscripts says would cover issues that have already been resolved in arbitration. The November arbitration panel ruled that Allscripts convinced Etransmedia to buy MyWay EHR licenses for resale via a Costco Wholesale program but then “deliberately sabotaged” Etransmedia’s sales by retiring MyWay in October 2012, sticking Etransmedia with millions of dollars in unsold licenses. In an “only in America” major medical advance, Botox maker Allergan will pay $2.1 billion to buy Kythera Biopharmaceuticals, which just won FDA approval to sell an injection that eliminates double chins, which the company previously estimated as a $500 million per year US business. 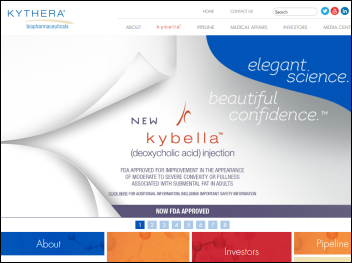 Allergan offers a number of cosmetic drugs and hopes Kybella will bring women into doctors’ offices for cross-selling opportunities. As a bonus, the money-losing Kythera is also developing a baldness drug. The smart money (like Allergan’s) is that doctors will ignore Kybella’s specific indications and start shooting it indiscriminately into cellulite-laden thighs and butts. KYTH shares are up 91 percent on the year and 209 percent in five years. 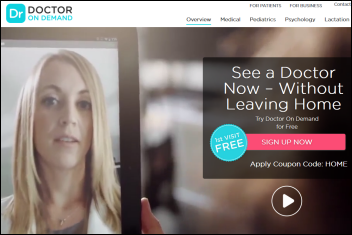 Video visit provider Doctors On Demand, which offers $40 medical consultations, closes $50 million in a Series B funding round. 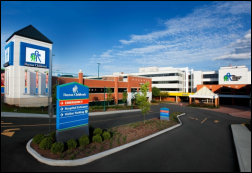 Recondo Technology announces sales of its patient access and business office solutions to University of Virginia Health System (VA), Northside Hospital (GA), and Hannibal Regional Healthcare System (MO). Dayton Children’s Hospital (OH) chooses Phynd to manage 7,000 providers across its EHR and other systems. 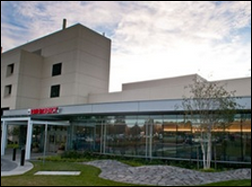 Legacy Health (OR) selects GetWellNetwork’s interactive patient care system. Health Data Specialists names David Astles, PhD (Encore Health Resources) as VP of revenue cycle. Regional Medical Center (AL) promotes Pete Furlow to CIO. Deven Mcraw (Manatt, Phelps & Phillips) joins HHS’s Office for Civil Rights as deputy director for health information privacy. 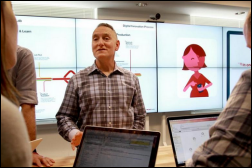 Healthline hires Paul Clip (RelayHealth) as SVP of engineering for its health IT group. The HCI Group promotes Cynthia Petrone-Hudock to president of international business. I interviewed her a few months ago. Premier introduces Quality Cycle Management, a SaaS and services offering that helps health systems recognize areas of clinical outcomes that are reducing their CMS payments under value-based purchasing. Huntzinger Management Group launches a big data consulting service called V6 Data Analytics. 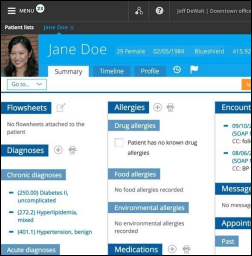 Practice Fusion releases native iOS and Android tablet versions of its free EHR. Grant-funded and volunteer-led Games for Health will co-locate its annual conference with HIMSS’s mHealth Summit in December. 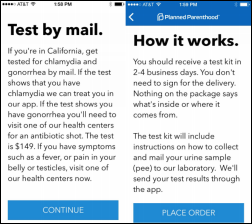 Planned Parenthood pilots an app that lets California users order a $149 at-home urine test for chlamydia and gonorrhea, and if the mailed-in urine samples are positive, the user is notified via the app and is issued either an electronic prescription or an appointment prompt, respectively. The organization already offers residents of Minnesota and Washington app-based video consultation by which users can receive birth control and sexually transmitted disease test kits. @Cascadia notes that Providence Home Health (WA) is offering Seattle-area house calls for $99, scheduled online and prepaid by credit card. GE Healthcare will move customers of its patient flow solutions to those offered by TeleTracking in a newly signed collaboration agreement that also includes shared analytics. Joe White, the former CFO of Shelby Regional Medical Center (TX), is sentenced to 23 months in federal prison and is ordered to replay $4.5 million to CMS for falsely attesting to Meaningful Use for his for-profit hospital owner employer, whose facilities received $16 million in total MU payments. The Department of Justice conducts what it says is the largest Medicare fraud take-down in history, with charges of $712 million in false billing filed against 243 people, of which 46 are licensed professionals. Among the charges: paying and receiving kickbacks, coaching patients to appear eligible for services, a physician home visit company that billed $43 million for a single doctor, providing medically unnecessary wheelchairs, billing for services not performed, and mailing $38 million worth of talking glucose monitors to people who didn’t ask for them. The splashy announcement is probably intended to make criminals think twice before committing Medicare fraud, but I can’t imagine a more compelling incentive than the agency happily writing a single doctor $43 million in checks before finally catching on that something wasn’t quite right. CVS, fresh off this week’s announcement that it will buy Target’s pharmacy business, opens a digital innovation office in Boston’s Back Bay to increase access to tech talent and to foster collaboration with local providers and startups. CVS already has 40 people working from the new office and expects to top out at 100 employees. VP of Digital Strategy and Innovation Andrew Macey says the projects will always be prototyped and marketed within one year, adding that CVS is opening up its systems with APIs and is also studying how streams of wearables data can be used to help people get healthier. Sprint is forced by new net neutrality laws to stop throttling back customer cellular data bandwidth during busy periods, quickly reacting to the news that FCC will fine AT&T $100 million for misleading customers by selling unlimited data packages but capping their data speeds after 5 gigabytes in a billing period. In England, hospital executives admit that they should have paid more attention to the concerns of a 19-year-old cancer survivor instead of telling her to stop Googling her symptoms. 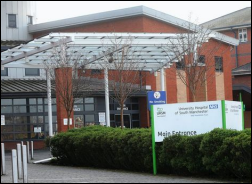 She died of cancer 10 days after being admitted, with her family complaining that during her stay, she was not given pain relief, referrals were delayed, and doctors were “evasive and aloof” when the family tried to gather information. The hospital has enlisted her mother to help it improve (or at least to improve its image). 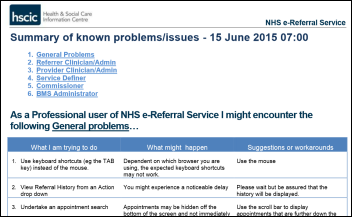 Also in England, the NHS’s new e-referral system has been taken offline “until further notice” days after its launch after several of its known problems were deemed to be unfixable on the fly. The former pharmacy director of Beth Israel Hospital (NY) pleads guilty to stealing 200,000 oxycodone tablets worth $5.6 million on the street by falsifying entries in the hospital’s electronic narcotics inventory system. What’s ugly about US healthcare in a nutshell: lawmakers argue over the decision by Yale New Haven Health System to close two clinics, with the hospital blaming lower Medicaid payments and higher state taxes, while opponents say the health systems uses anti-competitive practices and opportunistically timed state budget political pressure to support its huge profits and million-dollar executives. It’s fascinating to me that Connecticut in 2012 starting charging hospitals a new tax worth $350 million, which earned it an extra $200 million from the federal government, and then the state gave the hospitals back their $350 million plus another $50 million in vig, keeping $150 million for itself by beating federal taxpayers in a financial shell game. 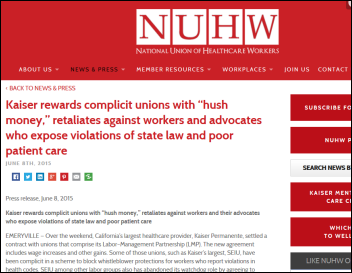 Two labor unions sling arrows at each other in trying to gain power over Kaiser Permanente workers, with upstart union NUHW claiming that SEIU-UHW gained Kaiser concessions by blocking whistleblower protections and agreeing to drop ballot measures that would have capped hospital prices and executive paychecks. Consumers lose just about any way you look at it. Bizarre: hearings continue in the negligence lawsuit brought by a fan of the Kansas City Royals, who claims that in 2009 he was permanently impaired when the baseball team’s former mascot threw a foil-wrapped hot dog while the man was looking at the scoreboard, striking him in the eye and detaching his retina. The lawsuit is in its fourth inning, having already been heard with inconsistent verdicts in three rounds of courts. Weird News Andy says DNR might stand for “Do No Rong” as nurses in England allow an inpatient to die because someone forgot to remove a previous bed occupant’s “do not resuscitate” sign. DocuSign CFO Mike Dinsdale is recognized as the 2015 Bay Area CFO of the Year for Emerging Business. Healthgrades releases a white paper on robotic-assisted surgery clinical outcomes in women’s care. Extension Healthcare will exhibit at the 15th Annual Healthcare Summit Disruptive Forces in Healthcare June 22-23 in British Columbia. GE Healthcare General Manager of Monitoring Solutions Didier Deltort explains how the demand for digital talent will change the healthcare job market. HCS will exhibit at the 2015 Long-Term and Post-Acute Care Health IT Summit June 21-23 in Baltimore. HealthMedx will exhibit at the New York State Health Facilities Association Conference June 28-July 1 in Saratoga Springs. Iatric Systems will exhibit at the NCHICA AMC Conference on Securely Connecting Communities for Improved Health June 22-24 in Chapel Hill, NC. InterSystems and Intelligent Medical Objects will exhibit at the AMDIS 2015 Physician-Computer Connection Symposium June 24-26 in Ojai, CA. Legacy Data Access helps over 175 hospital systems comprising 1,100 facilities retire their healthcare data. Healthwise will exhibit at the CMSA 25th Annual Conference & Expo June 23-26 in Orlando. Mr. H, Lorre, Jennifer, Dr. Jayne, Dr. Gregg, Lt. Dan. Why don’t we push the issue and have hospitals demand this definition of openness in all vendor contracts going forward? The buyer should have strong influence here. Sitting and Wright did an excellent job defining an “open EHR”. Except one big item in this debate is still ignored. If vendors implemented all of these technical open requirements allowing such free and easy access, what about the potential legal issues? I can see the lawyers drooling over issues as; what if vendor B puts erroneous patient data into a vendor A record, that’s creates a serious medication mishap? Who is responsible? Who gets sued? What if Vendor A changes /deletes info in Vendor B database and it is in error? Is Vendor B liable for a ‘never’ event that was partially due to bad data in vendor a system? Or Vendor B has a HIPAA breach that touched Vendor A system? Or Vendor A ‘crashes’ Vendor B system and a patient mishap ensues? 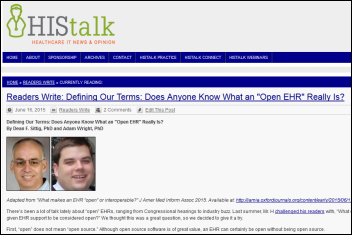 Now that we have a much better definition of ‘open EHR’ we need to start working on a definition of ‘open with limited (closed?) liability”. That should be fun and lucrative for the lawyers as they add another 30 pages to the standard vendor contract. Isn’t that ironic that 3M is experiencing issues with their coding product delivery when it is 3M who was given the WHO / CMS contract to create ICD-10 in the first place, back in 1995 ? WRT your comments about Connecticut and the public shaming that is happening, why not require the not-for-profit/tax-exempt organizations (Over some limit, say $10 million revenue) to publish their 990s on their website within 30 days of filing. This should be done as well as publishing their financial statements when available. Some organizations (e.g., UPMC and Ascension) do some of this already but not very many. This would add an air of transparency to this dialogue which is currently lacking since many organizations present limited to no real financial information on their sites currently. I was scratching my head when yet another large interoperability group, at a large conference, was largely talking about “interoperability” behind a closed, on-premises proprietary system. They were talking about connecting things behind institutional walls. I almost screamed “that’s not interoperability”. Thank goodness for Sittig and Wright. It’s a wonder it took this long. I love the focus on what interoperability means for different stakeholders. Well done harnessing this phrase and steering it in the right direction. HomerSimpson…Just a thought. Has any one really asked…do we need to have interoperable systems? Why would I want a competing hospital/clinic to see my patient’s data? It isn’t about what you want or what the hospital wants. It is about the patient. I believe patients want THEIR data openly and freely shared at their discretion, so they can get the best care possible in a fragmented healthcare environment, regardless of the caregiver they choose. This financial/competitive argument always gets tossed into any interoperability discussion. Health systems better find a way to compete other than locking out a patient’s ability to access and share their data with other providers in their community. The days for this tactic are going the way of the dodo. I have similar thoughts as Montgomery Burns about the need for this “interoperability”? If a patient wants this, are they ready to pay extra for this kind of service? I know we don’t compare banking and healthcare industries, and those are quite different but I have a thought: When I withdraw from another bank’s ATM, I am charged extra fee and I grudgingly pay it when I need the money. Is that payment model going to work with this model? Sittig and Wright model looks good in theory but implementing it will require a lot in implementation. Software companies like Allscripts, Cerner, Epic, etc… will pass on that extra cost to Healthcare institutions. They are all for profit, they are not going to do this for free. And, hospitals will pass on this cost to the patient. And, we will wonder why US Healthcare is more expensive? One thing that concerns me about interoperability is the fragmentation of standards and expectations. There’s no single model of interoperability, which would help greatly in defining and measuring it. Now we’ve got Blue Button, FHIR, C-CDA, HL7 and likely a half-dozen more I’ve forgotten. You can add to that multiple more generalized data sharing concepts like XML, JSON, API systems and more. I can easily imagine a vendor going all-in on one standard, claiming they’ve got interoperability nailed, but then they cannot connect with multiple other systems and organizations because of competing standards support. I’m comfortable saying that many vendors haven’t done enough to support data exchange. What I’m not comfortable saying is that we have given vendors a simple, clear target to achieve. Do we simply expect that every vendor must support every standard out there? ?